Treatment of major depression. Treatment of social anxiety disorder (social phobia). Treatment of generalised anxiety disorder. White, oval convex shaped, coated tablet with 'E' bisect '1' on one side and plain on the other. 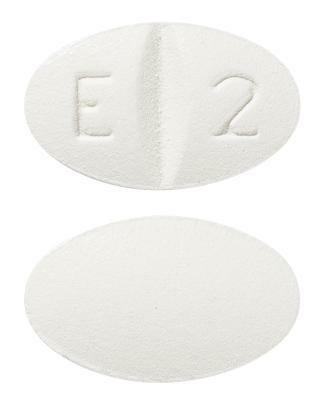 White, oval convex shaped, coated tablet with 'E' bisect '2' on one side and plain on the other.